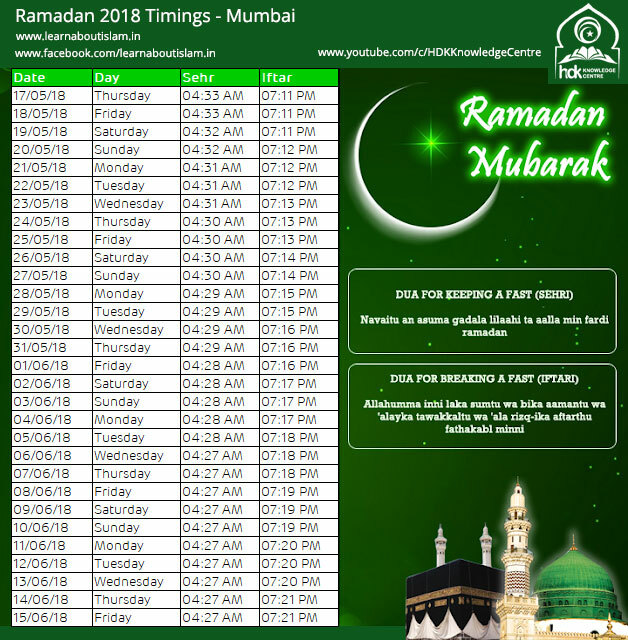 Complete information on Ramadan Timings 2018 and fasting schedule of Sehri and Iftar for 2018 for Mumbai, Maharashtra, India. 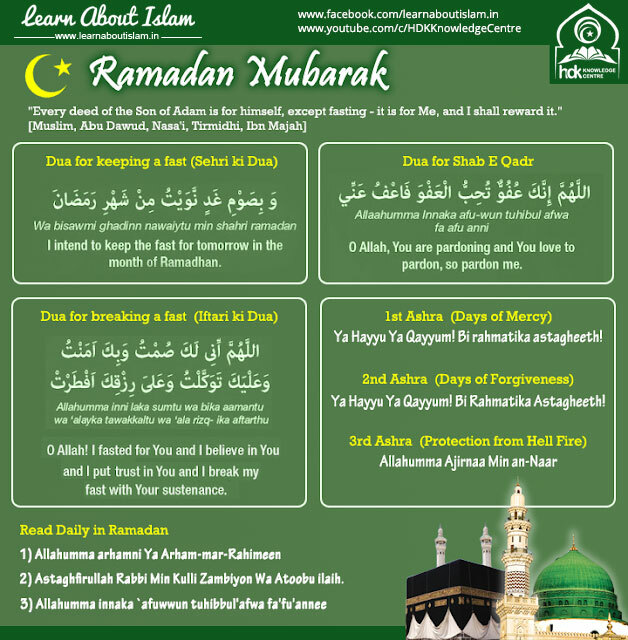 Ramadan in India will start on Wednesday, the 17th, May 2018 (Taraweeh Salat from 16th May 2018 and Ist Roza from 17th May 2018) and will end after 30 days on Friday, the 16th, June 2018. Eid ul Fitr Namaz will be celebrated on 15th or 16th June 2018 depending on the sighting of Moon and Shariat.